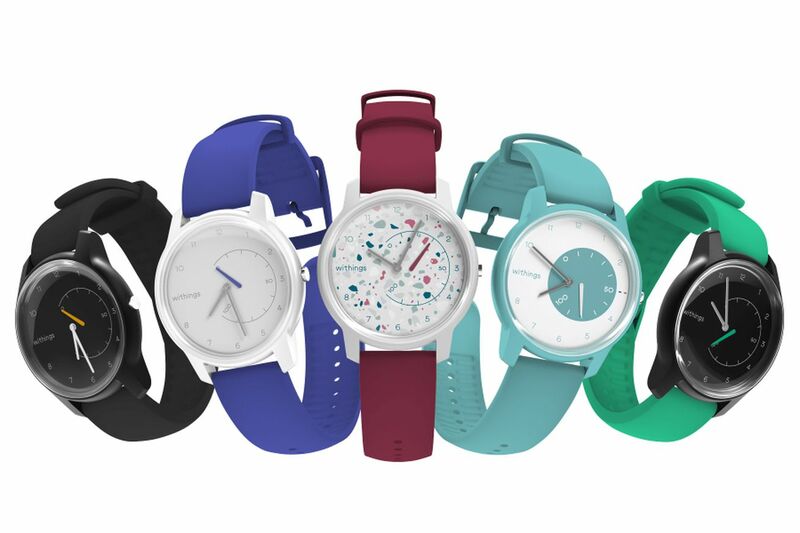 You can now create a customized version of the Withings Move smartwatch in Europe, changing everything from the design of the watch face, to the color of the case, strap, and even the activity tracking dial. There are 5,800 possible combinations, according to Withings. Currently, you can only customize the non-EKG version of the watch — the more expensive Withings Move ECG watch is not yet available. Withings first announced the Move smartwatch back at CES when it was available in just five colors. The smartwatch is designed to track both sleep and activity, is rated as water resistant up to 50 meters, and has a battery life of as much as 18 months. The customizable Move is only available in Europe for now, and can be purchased directly from Withings for €79.95, which is €10 more than the static colors. Withings says the added cost is due to the new customization feature. However, today the French company, bought back from Nokia last year, announced that the Move watch is now Made in France thanks to a new factory that just opened in Issy-les-Moulineaux. Withings says it expects to set up a similar factory in the US by the end of the year.